Claire Sullivan, of Enumclaw, has the spirit of a tiger. This is according to her teacher at Kirkland’s Z-Ultimate Self Defense Studios, chief instructor Jeremiah Wallace. 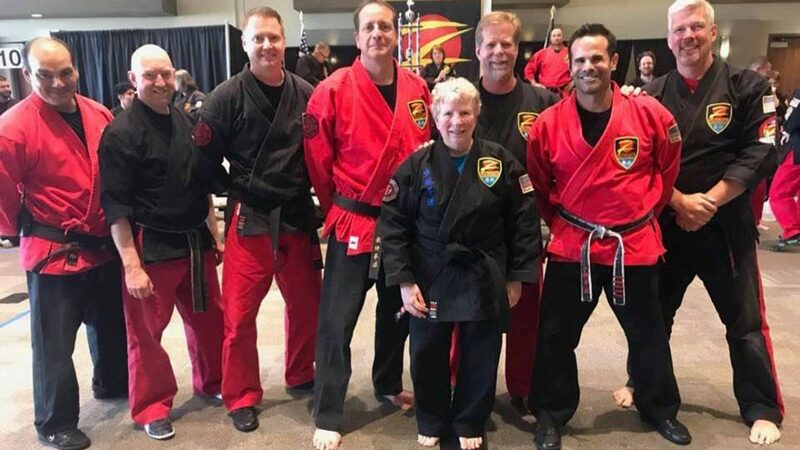 Recently, the 73-year-old earned her honorary black belt. It was a surprise move — one that caught both Sullivan and Wallace off guard. Eighth-degree black belt Shihan Frank Ley, from Z-Ultimate headquarters in California, awarded Sullivan the honorary black belt during Z-Ultimate’s tournament held in Everett in September. “To the best of my knowledge that’s never happened before,” Sullivan said. Sullivan had been looking around the room, expecting them to recognize someone else. “I couldn’t believe it was me when they called my name,” she said. She still has to pass her test in November to secure her black belt. Sullivan has been a martial arts student for the last eight or nine years. She’s been teaching self defense — first at the Z-Ultimate on Mercer Island and more recently at Kirkland’s studio — for the last seven or so years. 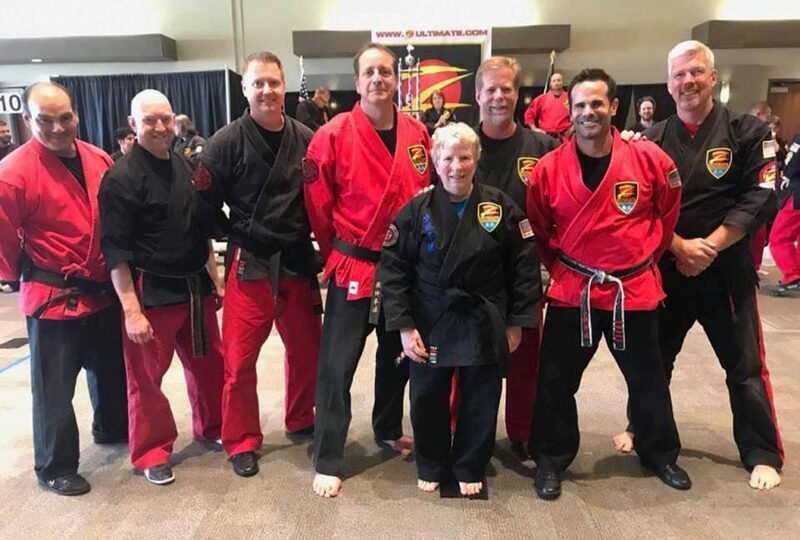 Sullivan, who retired from The Boeing Company around a decade ago, has two bad knees and a bad shoulder, but that’s never held her back from learning martial arts. She said doing martial arts has helped keep her in good condition. Additionally, this training also gives her a skill. She said she was thrilled to earn the honorary black belt — about a month later she’s still excited, she said. She spoke a lot about how helpful and encouraging the instructors at Z-Ultimate are. “I went into this knowing I have some handicaps, and they said, ‘We can help you,’ and they’ve done that,” she said. She said they have also helped keep her focused toward her goal and helped her help herself. “Nobody can do it for you,” she said. She said that’s what Z-Ultimate is all about — helping each other, teaching people a way of keeping them healthy and active but also giving them that skill. “We’re all a part of that,” she said. With her test coming up in about a month, she said she’s nervous. She is working toward her first-degree black belt. There are a total of 10 degrees. “As soon as I get that I will start working toward my second degree,” she said. Wallace said there’s nothing stopping her. Even though Wallace is quite a bit younger than Sullivan, she’s always remained humble, he said. “That’s what we’re looking for,” he said, referring to her earning an honorary black belt. Z-Ultimate Self Defense Studios in Kirkland is located at 395 Kirkland Ave. They are open from noon to 9 p.m., Monday through Friday and 9 a.m. to 3 p.m. on Saturdays. For more information, call (425) 827-2402 or email Kirkland@zultimate.com.